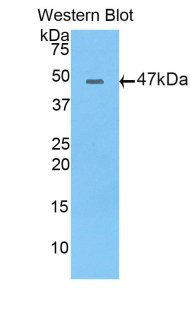 Apolipoprotein B antibody LS-C701821 is a Cy3-conjugated rabbit polyclonal antibody to pig Apolipoprotein B (APOB). Validated for WB. Cy3. Also available Unconjugated or conjugated with Biotin, FITC, HRP, PE, APC, APC, Cy7. Recombinant APOB (His331-Glu511) expressed in E. coli. 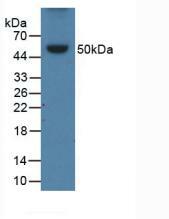 Western Blot; Sample: Recombinant APOB, Porcine.